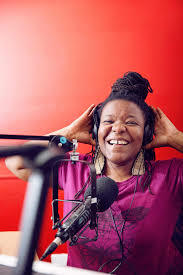 Storyteller, educator, curator and radio presenter Sista Zai Zanda joins us on the Pan African Space Station, LIVE from MUMA in Melbourne from 11-13 April. Zimbabwean born and raised Sista Zai is an active and respected member of the arts and cultural community in Melbourne. Since 2015, she has hosted and curated the Pan Afrikan Poets Café, a pop-up literary event combining beats, performance and poetry by and about African and First Nations’ artists and storytellers. Friday 12 April from 18:00 – 19:00 (AEST) – H.A.I.R (with Naomi Velaphi) presents ‘Afropodes: what is a contemporary African archive in Australia?’.